Alice Coltrane never had an easy time of it with critics. That she was able to pursue her rugged musical vision in the midst of controversy (many claimed she was "the Yoko Ono of the John Coltrane Quartet," in that she replaced McCoy Tyner when Trane decided to shift the focus of his band) is, in retrospect, a heroic act, though, humble as she is, she would never see it that way. This double-LP live set recorded at UCLA in 1978, reveals in total the ambitious and profound free jazz and universal musical frontiers Ms. Coltrane was able to explore in both small and larger groups. The lion's share of the music here features her in a trio setting with bassist Reggie Workman and drummer Roy Haynes. Ms. Coltrane performs on piano and organ. 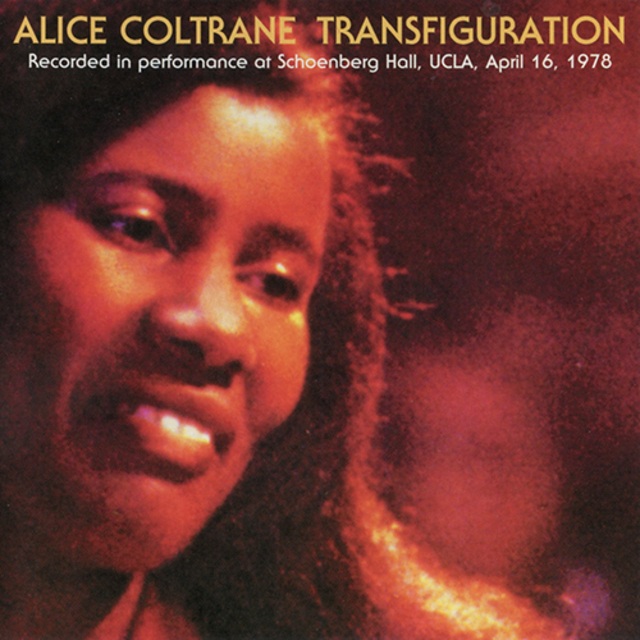 The opening moments of the title track, which opens the album, offer the careening subjectivity through the whole-tone improvisation that Alice Coltrane made her own. Certainly there is the influence of her late husband here, but her sense of phraseological articulation and accent is far different. She moves with one hand over a difficult series of arpeggiattic concerns, creating a strong harmonic line for Workman and Haynes to develop into a rhythmic construct. When a standard modal interlude develops in the rhythm section, Coltrane stretches it to its breaking point until a new one must be developed; it's nothing less than breathtaking. But expectation is thwarted when Coltrane plays a piano solo on "One for the Father," where the depth dynamics of Shostakovich meet the strident harmonic vistas of Stravinsky and Messiaen and engage the profound spiritual emotionalism of gospel music in a seven-minute piece that is so moving, it would seem that the set should end there. But there is so much more. On "Prema," another solo piano piece which opens an Eastern drone in a near-impressionistic (à la Debussy) manner was later overdubbed with a string section, adding more dimension to the droning, whole tones that lie at its root. When the work shifts into a section that reflects transcendence, the dynamic is actually quieter and more lush and reflective than in the music's searching passages. Finally, after two more selections, the concert's finale begins, a 37-minute read of John Coltrane's "Leo." Ms. Coltrane and her band begin slowly to articulate a system devised by John, where all 12 tones were related to the 12 signs of the zodiac. Alice Coltrane's organ soloing here is very much in the angular shifting, shaping, and contouring that her husband's soprano playing had. It articulates a phrase repeatedly until every ounce of emotion and spirit have been wrung from it and then dives straight into the next. The interplay between Workman and Haynes was so telepathic, it pushed Ms. Coltrane into new realms further inside these shimmering harmonics until their shards gave way to a series of symbols and meanings that opened onto new vistas in tonal metalinguistic post-tonalism. It's an exhausting work, but one that leaves the listener in a state of near disbelief at what just transpired. If you can only own one Alice Coltrane record, this should be it.